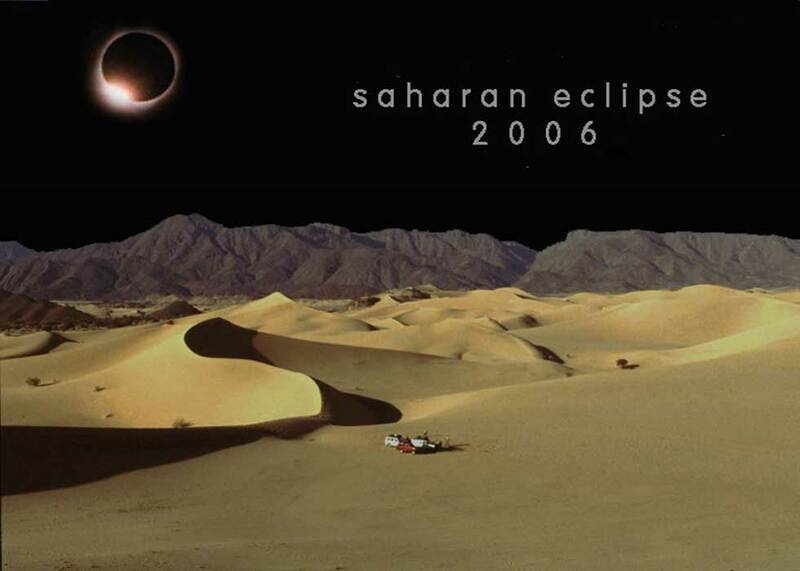 In March 2006 an eclipse sliced right across the Sahara, from Ghana to the Libyan-Egyptian border on the Med. On its way it passed close to the extinct volcano of Waw Namus in central Libya and it was clear that everyone and his camel would be heading there. Sure enough the place turned into an Eclipse Babylon where tours ops from around the world sought to capitalise on a rare event. ‘Clear skies or your money back’, I crowed confidentially when I pitched my tour. In my mind far better to take it to Niger, where the track of totality passed right between Dirkou and Bilma on the far side of the Tenere desert. On the way we could take in the classic Tenere circuit (right), one of the best fortnight’s you can spend travelling in the Sahara. 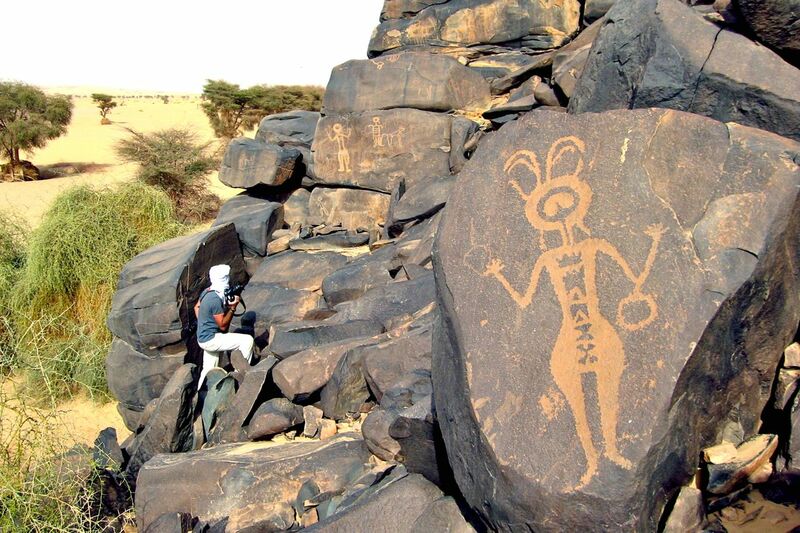 It includes the Aïr mountains, Arakao ‘crab’s claw’, inscrutable engravings of aliens with handbags and Temet dunes. 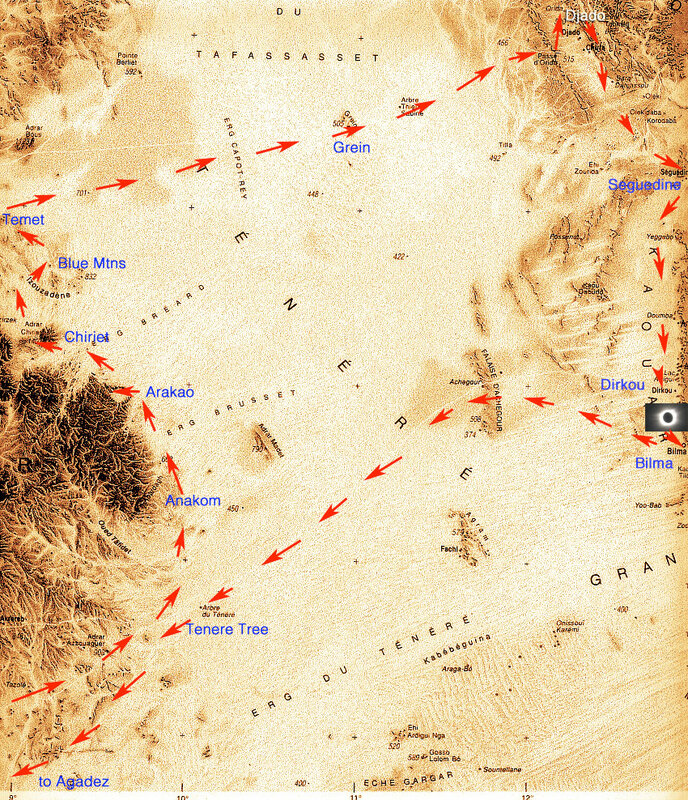 Then east across the sands to the mysterious ruined citadels of Djado and Orida and the nearby salines of Seguedine and Bilma before heading back through the Bilma Erg and past the Tenere Tree to Agadez. I secured ‘saharaneclipse.com’ in plenty of time and set up an enigmatic front page (left). Only those who moused over the eclipsed sun found their way to the back pages and booking details. And so about eleven of us from seven countries shuffled across the tarmac of Agadez airport, paid the special ‘eclipse tax’, piled into the loaded jeeps and lit out into the Tenere to see what we could see.